Of this you can be certain: there is no shortage of orchestra concerts in Boulder. With the end of the summer and the departure of the area’s best orchestra—that of the Colorado Music Festival—now’s a good time to look at Boulder’s resident orchestras that perform during the main season, between September and May. In fact, there are no fewer than five of them. This means there is a remarkable richness of orchestra concerts for a city the size of Boulder. It is one of the true blessings of living here, and with so many different orchestras and conductors contributing to the mix, it also creates a diversity of programming that would be the envy of many larger cities. The Boulder Philharmonic (BPO) is Boulder’s fully-professional orchestra. Considered a regional symphony, the Boulder Phil has an annual budget just over $1 million. The orchestra has a negotiated contract with its players, who are paid union scale. In these respects, the BPO leads the orchestra pack in Boulder. 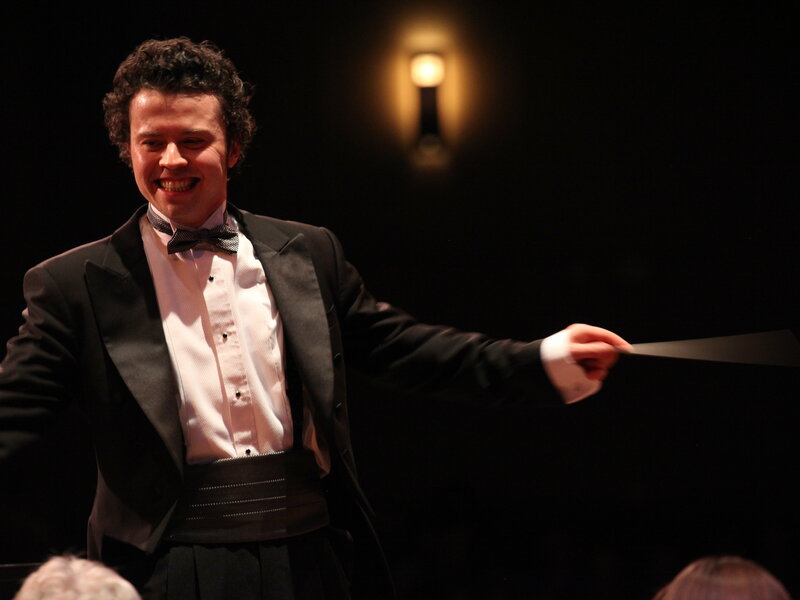 The conductor is Michael Butterman, who also conducts the Shreveport (La.) Symphony, and is now the inaugural music director of the Pennsylvania Philharmonic, leading its very first season in 2014-15. It should be noted that regional orchestras are not full-time and do not pay anyone from the director on down through the sections a full-time wage. For example, BPO has six concerts on its 2014–15 season, plus performances of The Nutcracker with Boulder Ballet. This is not full-time work, and members of the orchestra generally have other income, either from teaching, from other orchestras, or from free-lance work—or a combination of all three. The same is true of the music director: In addition to the three orchestras listed above, Butterman is resident conductor of the Jacksonville (Fl.) Symphony and principal conductor for education and community engagement for the Rochester (N.Y.) Philharmonic. This summer, he was guest conductor for the opening concert of the Colorado Music Festival. Butterman is a skilled and thoughtful conductor. Under his direction, the Phil presents worthy, professional-quality performances of programs tailored to the Boulder audience. Often that means a careful combination of challenging new works and familiar favorites. Past explorations have included concerts accompanied by aerial artists, music by the original mother of invention Frank Zappa, and the premiere of CU faculty member Jeffrey Nytch’s First Symphony, inspired by Colorado’s geological formations. The Pro Musica Chamber Orchestra is fully professional orchestra, although operating at a more modest scale than the BPO. With only three concerts in a season and a much smaller number of musicians, their budget for the coming year is $63,000. Still, the orchestra, under the direction of Cynthia Katsarelis, presents some terrific performances and offers intriguing repertoire for smaller orchestra. For example, one of last year’s program paired Vivaldi’s much loved Seasons with the fascinating, tango-inflected Four Seasons of Buenos Aires by Astor Piazzolla. Players in the Pro Musica come from the CU faculty and professional orchestras on the front range. Katsarelis is a first-rate conductor who probably does not get enough recognition locally. She has conducted at the Colorado Music Festival, Rocky Ridge Music Festival and Loveland Opera Theatre. Every year since 2004 she has traveled to Haiti to conduct the Orchestre Philharmonique Sainte Trinité and to teach at the Holy Trinity School of Music in Port-au-Prince. Bahman Saless with the Boulder Chamber Orcehstra. Photo by Keith Bobo. There is another mostly professional chamber orchestra here, the Boulder Chamber Orchestra (BCO). This group was established in 2004 by music director Bahman Saless when friends suggested he start an amateur orchestra. Since then, the orchestra has become almost entirely paid (except for a few members who decline payment), and operates a season of seven concerts, a New Year’s Eve performance, and a couple of “MiniChamber” concerts on a budget of about $147,000. A community orchestra that has mostly remained so is the Boulder Symphony, formerly known as the Timberline Symphony.With an annual budget of $100,000, the orchestra has some paid members, including the string section principals, among volunteer musicians. They present six orchestra programs during the year, also offer four open rehearsals of pending concerts, and participate in educational activities. Conductor of the Boulder Symphony is Devin Patrick Hughes, a young and dynamic personality who also leads the Arapahoe Philharmonic. 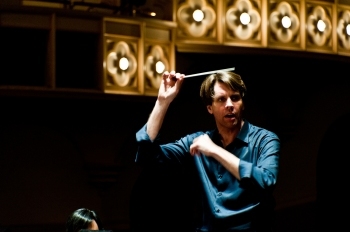 He has also recently held conducting positions as Music Director of the Santa Fe Youth Symphony Association, Denver Contemporary Chamber Players, Resident Conductor of the Denver Philharmonic Orchestra, and Assistant Conductor for the Denver Young Artists Orchestra. 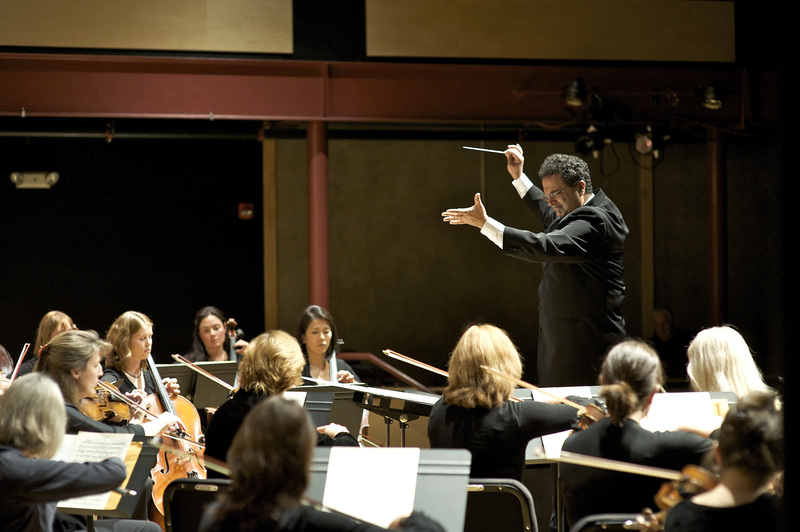 The list of Boulder orchestras is rounded out by the CU University Symphony Orchestra, led by Prof. Gary Lewis, who is also director of Orchestral Studies in the College of Music as well as music director of the Midland-Odessa (Texas) Symphony. 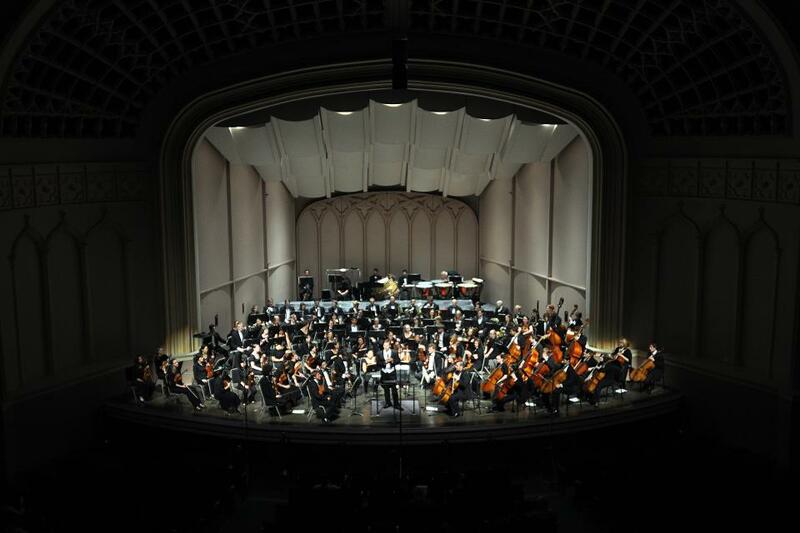 Concerts by the University Symphony are held in Macky Auditorium on the CU campus and are free. Obviously a non-professional, student ensemble, the University Symphony—the top orchestral ensemble in the College of Music—presents fully satisfying performances of major orchestral repertoire. Their first concert of the 2014–15 season, at 7:30 p.m. Thursday, Sept. 18, will feature Beethoven’s Seventh Symphony, and subsequent concerts this year will include Robert Schumann’s Symphony No. 3 (“Rhenish”), Rimsky-Korsakov’s Scheherazade and Respighi’s Pines of Rome. There is another community orchestra in the county, the Flatirons Community Orchestra in northeast Boulder County, and youth orchestras in Boulder and Longmont. All of these groups deserve support. I doubt that anyone will get to all of the concerts presented by these orchestras, but if you don’t find an orchestral program that appeals to you, you’re not looking. With so much to choose from, there’s a limit to what anyone can do, but I will try to preview all the major orchestras of Boulder throughout the year, either here or in the pages of Boulder Weekly. In the meantime, let the music begin! I’ll see you in the audience.